Create your own pretty pinecone ornament! 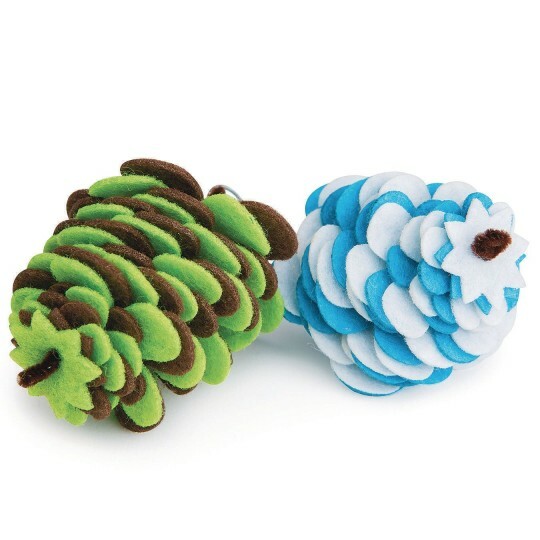 Layer felt shapes to create a pretty pinecone ornament. Felt shapes come in sheets for easy assembly. Kit includes felt shapes, chenille stems, cord and instructions. Finished pinecone measures 2”W x 3”H. We used this craft at our church craft party. 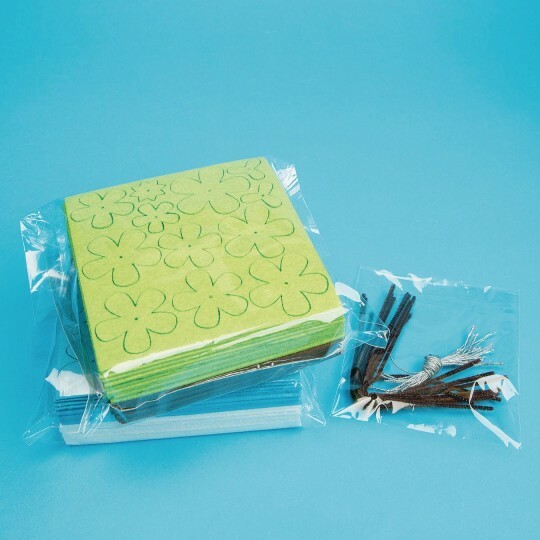 The instructions for this craft are detailed in order to get the pieces assembled in the right order. Most people just ignored the instructions but their final piece looked okay. We provided glitter glue to paint the edges and top. The colors were fun and the variety added to the craft. The pipe stems provided were a little flimsy so that it was difficult to keep the pine cone shaped correctly. If I were to do it over again I would get better chenille stems. All in all it was a fun and popular craft and worth doing.